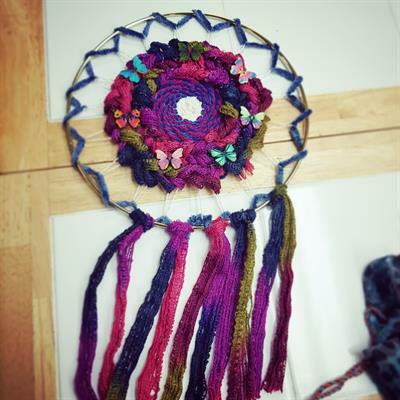 Get your Zen on and create a beautiful woven mandala to bring tranquility to your home or work. 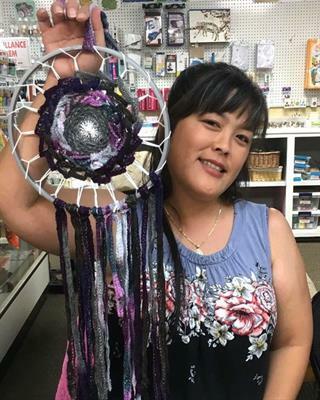 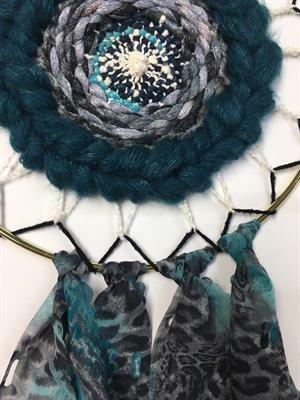 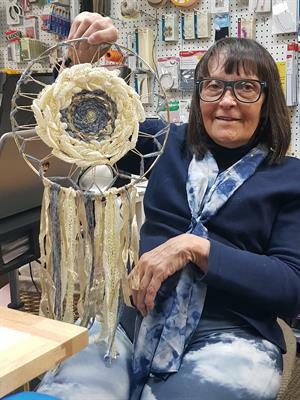 Create your own beautiful dreamcatcher to hang on your wall or to give as a gift. 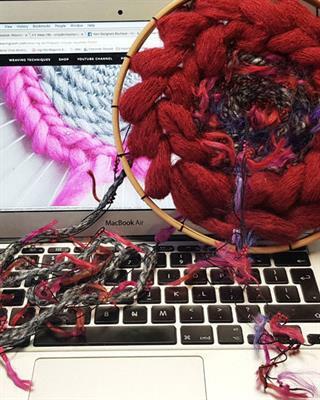 Use our funky textural yarns to make a simple circular weaving in as many colors as you want. 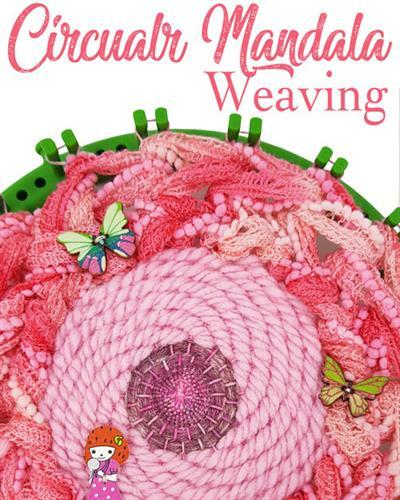 We'll show you how to warp our unique knitting looms, and get you started with Basketweave, Circular Twill, and Soumak Braid. 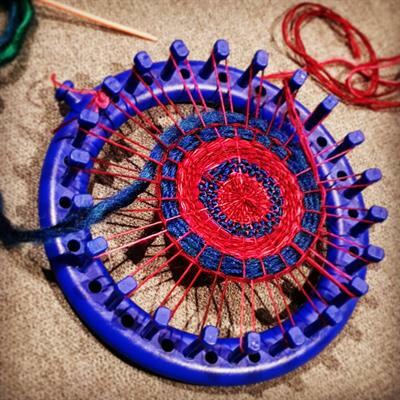 Then we'll set you loose to mix and match your favorite yarns with whatever weaving pattern you like. 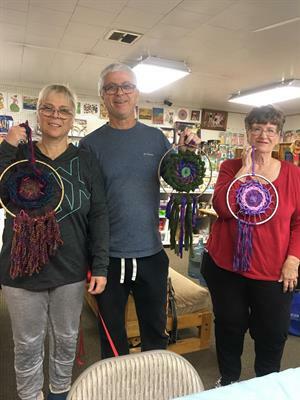 Family friendly, bring the kids and make mandala memories together.